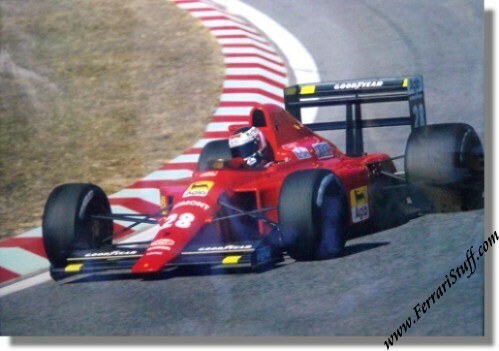 Ferrari factory original 1987 Ferrari F1/87 Gerhard Berger Poster. A truly beautiful poster that is not done justice by the spotty image picture. Ferrari Print Number 502/87 5M/12/98 issued in 1987, printed in December 1987 by Arbe, Modena, Italy.